When you come off the field after a hard fought victory, all you want to do is get those spikes off and relax. But, you need something on your feet when you walk down to the Snack Stand and get a hot dog. What to do? Not a problem. 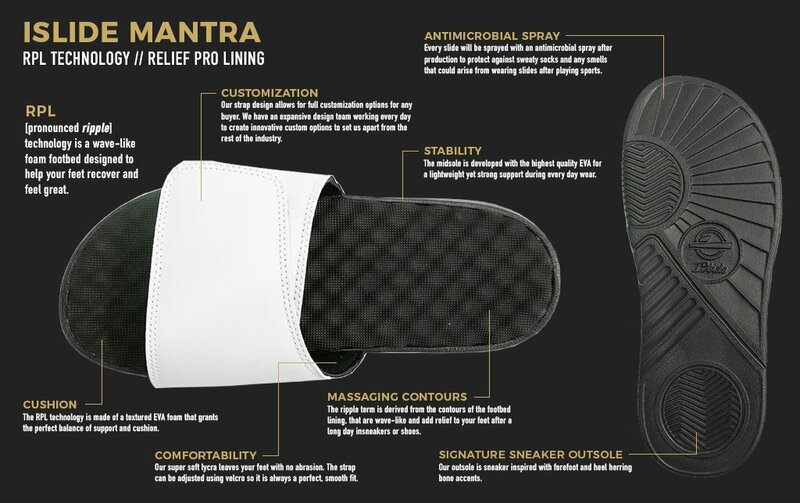 Reach into your bag and put on... your own custom, personalized Upper Providence Little League slide sandals! 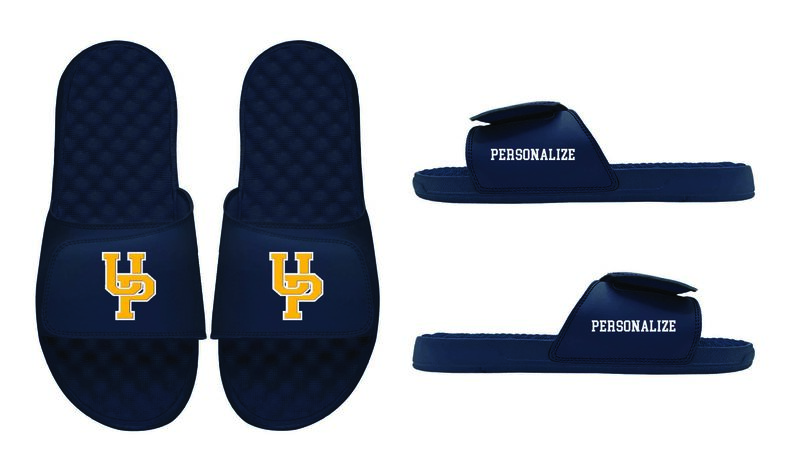 We will be accepting orders for these personalized slide sandals from ISlide. Please see the ISlide sizing chart and printable sizing sheet to determine your sandal size. Submit your order using our Google Form, you will be invoiced through the Upper Providence Little League website. You must complete payment by Saturday, May 4th or your order will be deleted! Delivery is expected the week of May 13th. No refunds or exchanges! All sales are final. Contact John Osborne at with any questions. We're very excited to announce the UPLL Dining Out Program! We will be holding an event usually each month during the season at a local restaurant. By presenting a flyer or voucher, a portion of your receipts will be directly donated back to UPLL by the restaurant! We'll be getting things started on Thursday, May 9th at Uno Pizzeria & Grill in Oaks, PA! Print and present this voucher to your server to participate. The voucher is valid at any time on May 9th at Uno, from opening to close, and can be used for lunch, dinner, curbside takeout, local lunch delivery, and yes, even your tab at the bar! 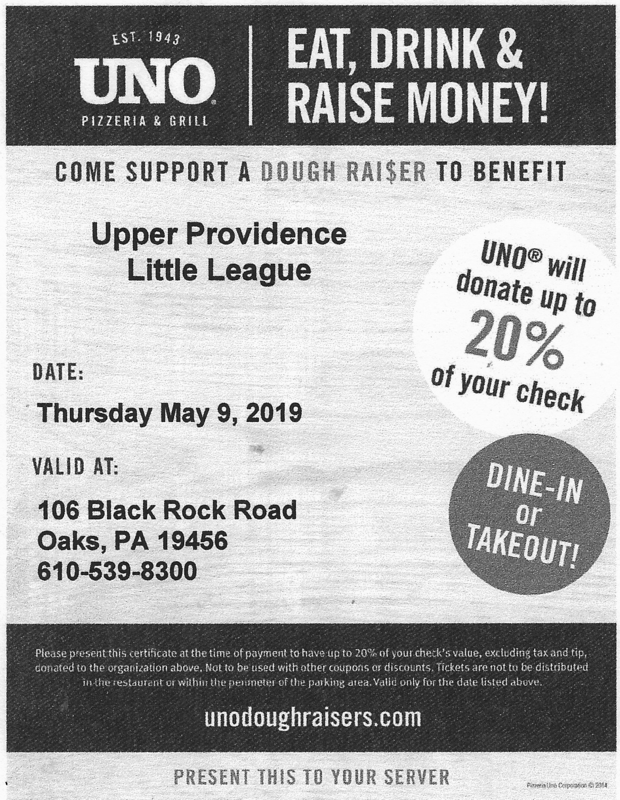 Stop by Uno on May 9th and help raise money for UPLL! 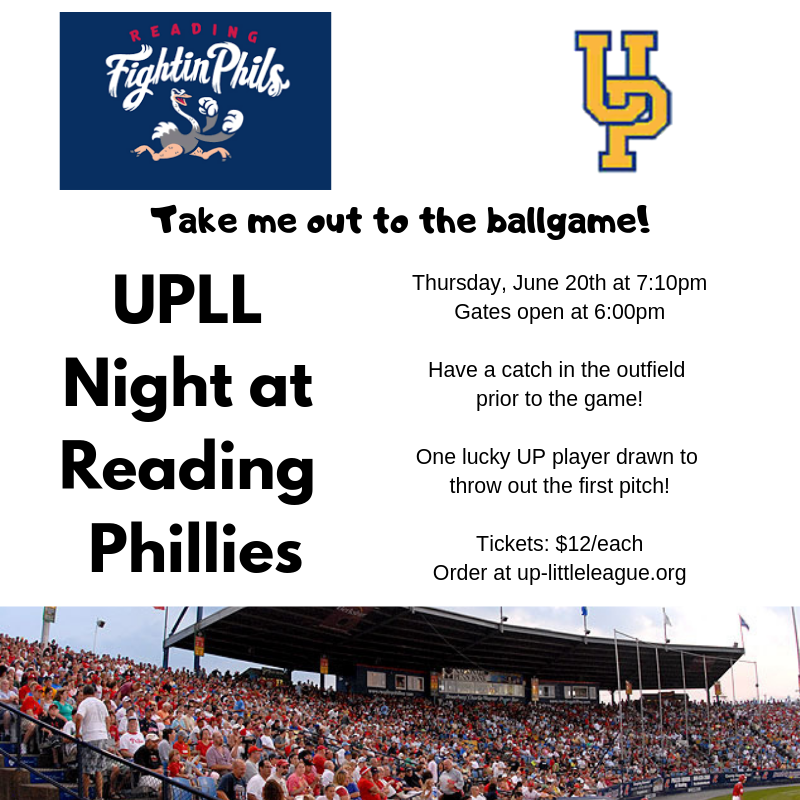 We are proud to announce UPLL Night at the Reading Phillies! Come out to the ballpark with your teammates, friends, and family to enjoy a great minor league baseball game in one of the best ballpark experiences in America! UPLL Night at the Reading Phillies will be Thursday, June 20th. All tickets are $12/each and will be located in Blue Boxes 2 and 3. Fireworks will follow the game! Before the game, all UPLL players in attendance will have the opportunity to have a catch in the outfield. Players must be accompanied by a parent or guardian on the field. One lucky UPLL player will be selected to throw out the first pitch! You may reserve tickets using our Google Form or by clicking the "Book Now" button on our Facebook Page. You will be invoiced through the Upper Providence Little League website for the cost of your tickets. Please complete payment on your invoice within 5 days of receipt! If you do not complete payment, your tickets will be released! All reservations and payments must be completed by 6/10/2019. If you have any questions about this event, contact John Osborne at .